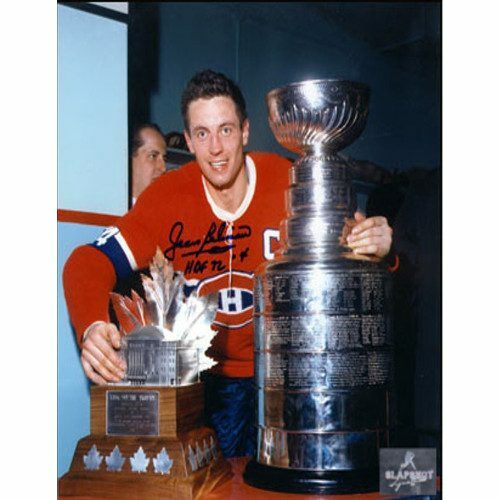 This hand-signed 8X10 photo has been personally autographed by Phil Esposito. To protect your investment, a Certificate Of Authenticity and a tamper evident holofoil from Slap Shot Signatures is included. Phil Esposito, considered the greatest scorer of his time, spent 18 seasons in the NHL playing for the Chicago Blackhawks, Boston Bruins and New York Rangers. Midway through the 1964 season, Phil Esposito joined the Blackhawks and quickly established himself as a leading goal scorer, playing centre for Bobby Hull. Eposito was traded to the Boston Bruins where he became the first player to reach 100 points in a season. He led the league in goal for 6 straight seasons from 1969-70-1974/75. 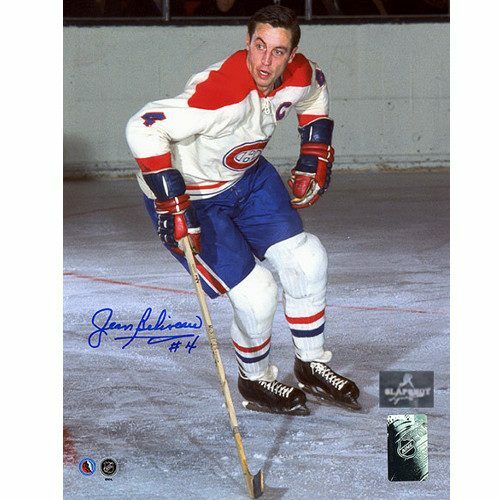 He won the Art Ross Trophy as the top scorer in the regular in 1969 and 1971-74. Phil Esposito was named to the first NHL All-Star team and he won the Hart Trophy for league MVP in 1969 & 1974. Phil Esposito along with superstar teammate Bobby Orr led the Boston Bruins to two Stanley Cup Championships in 1971-1972. Phil Esposito was traded to the New York Rangers where he remained and effective goal scorer leading the Rangers to the Stanley Cup Final in 1979. 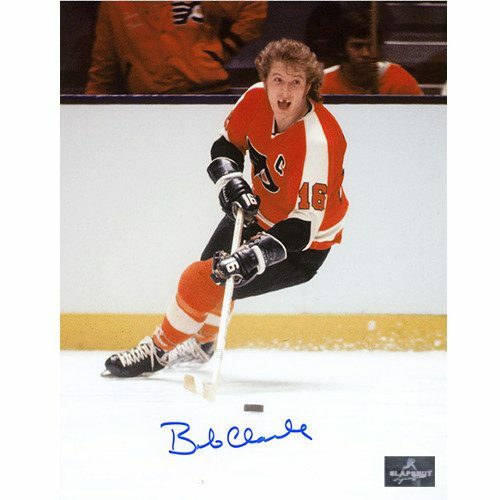 He retired in 1981, finishing second in career goals and total points behind Gordie Howe. Following his retirement, Phil Esposito served as General Manager and Coach for the New York Rangers. He won the expansion bid for Tampa Bay and founded the Lightning in 1992, serving as team president and GM until 1998. Esposito was elected to the Hockey Hall of Fame in 1984. Three years later his number #7 was retired by the Boston Bruins in an emotional ceremony where current #7 Ray Bourque pulled off his jersey and surrendered the number to Mr. Esposito.